Since 1st January 2015 a new tariff system came into force about Campania. weekly ticket: the user can make an unlimited number of trips during the time span of a week. Download TARIFF TIC/SITA or use the search engine to find the rate of your ticket. I would enquire about how traffic the three days on duty Tutta la regione are onto devices useful? I mainly Amalfi and I would like to wander over his neighbourhood, so I will need SITA buses. Is the card valid for them? If not, I would have a what kind of opportunity then onto ticket shopping? Is it the shopping of given daily tickets only? Would interest yet, my Mother is 72 years. Does she have the right to a some kind of discount? Where can I buy these cards? We were looking for it vainly in a Naples last year, we did not find it and they did not know about him. You can buy it from the major museums and archaeological sites on the circuit and from the campania>artecard information point at Naples Central Station. We are sorry for you camera. We recommend you to contact the regional headquarters of Campania: tel 089 3866701. Thank you. I will. Do you have an email address also? Hello, I have tried ringing the regional office at Salerno and they said to ring Amalfi , but we can’t get through….. Can you please help? I hope you find your camera soon. I read in such a way that the 7 days on duty are cards does not imply the travel. May I get on all of the buses, a train with the 3 days cards? SITA onto buses? I travel so much if I buy this with it under the 3 days, as much want? And I get the two entrances yet to it? “ArteCard Tutta la regione” is a valid ticket for 2 museums + all train/bus in Campania [of TIC system (exUnicoCampania)] + other museum discount. 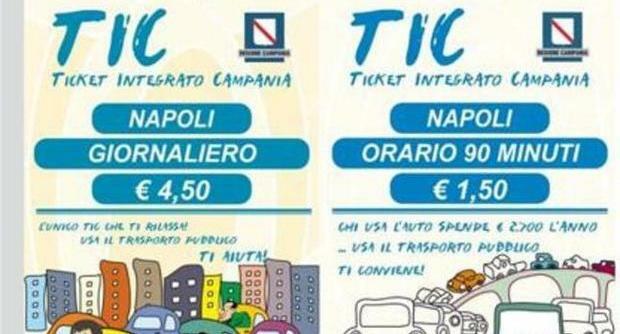 TIC is a valid ticket for all train/bus [of TIC system (exUnicoCampania)] in the selected band (km/minutes) in Campania. Sita is in TIC system. I will be visiting Sorrento, Positano, Amalfi and Ravello, coming from Napoli, with my wife, at the end of September. Which of these could be the best place to stay as a center of operations for a 3-day visit to the área? Which could be the best arrangement for visiting it by bus? To buy TIC tickets for three days? I will really appreciate your orientation. You could stay in Amalfi (in the middle). These timetables are currently valid; in September they may change. I suggest you to buy one-way ticket. Could you, please, give me the Amalfi-Sorrento timetable? Another question: if these timetables change, will the new ones will be posted in the same web pages of your links? Amalfi-Sorrento is the same Amalfi-Positano. New timetable will be posted is the same pages except Amalfi-Ravello. What a good support this! Sorry, an additional question: Are there ONLY two buses running daily (and from M to F) from Amalfi to Napoli (one leaving at 5:45 and the other at 6:20)? That is what I find in the Amalfi-Napoli timetable. Please, confirm. Last Sunday I left a pink bag on a Sita bus in positano during midday. I was wondering if it has been handed in? We are sorry for you bag. My wife and I will stay at Priaiano for one week starting on may 13. We plan to visit the amalfi coast from this place by bus. Unico Costieri card is no longer available and is replaced by TIC system. Right? So, do we have to get single cours ticket each time or is there any weekly pass? By the way, where can we buy such tickets in praiano? It’s right. For your destination there isn’t the weekly ticket, only single course tickets (there is a time validity). You can buy ticket at ticketing offices, bars, tobacconists, newsagents. Hi Monica! My husband is EU teacher so he has discount to most sites. If we only need transportation, which ticket should we buy? Is the SITA bus day pass still available? un saludo! The daily ticket is not available. I suggest you to buy corporate single ticket for every step. Have you seen this Tic search engine? I’m completely lost with this TIC… Could You tell me if TIC works when I’m travelling around from Sorrento (to for example Positano, Arienzo perhaps, farthest to Amalfi), probably one spot a day? I’ll be there for 4-5 days with my husband and kids and I’m wondering if it’s profitable to buy just single trip tickets or weekly tickets. Dear Zosia, I can not tell you if it would be profitable the weekly one because it depends on how many times you will use the transport. The TIC is valid on all the public transports in Campania so it covers the areas you mentioned. I would advice anyway to ask at the driver before boarding. Regards. 1. Does the TIC or Unico Costiera pass include the Alibus from the Naples airport to its city center? 2. We plan to take the Circumvesuviana train to Sorrento. On the same day, from Sorrento, we will take the Sita bus to Salerno (from there a train to Naples). Should we buy the TIC pass or Unico Costiera pass? 3. We are travelling in Nov 2018 – i could find only the Oct timetable. Can you please share a link for Nov 2018 timetable too?